From Osgood, Indiana in the USA, the Linville Pulling Team around Zach and Chris Linville are currently building on a new John Deere 4840 Component Light Super Stock Tractor on alcohol. The Linville family has been pulling for a long time. Zach´s great grandfather Gordon and grandfather Roger started with pulling antiques, then his dad Chris pulling Farm Stock Tractors, all the way up to two Light Pro Stocks ran by Zach and Chris. 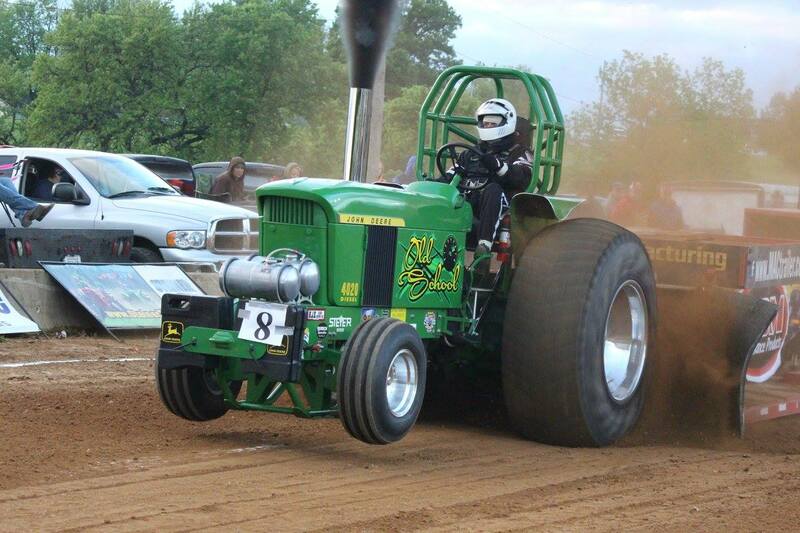 Up until the new build Chris was pulling a John Deere 4020 named "Old School in the Light Pro class. Zach drove his own tractor, a John Deere 4320 named "The Only Way I Know". They had some success running in Indiana and Kentucky but started to have issues with the tractors (chassis, turbo's, injector pumps, etc.). The family farming and Zach working as a mechanic, two tractors was getting to be too much to take care of. At the same time Zach and Chris wanted to be able to move up and run in the NTPA National Circuit. They decided to build a Light Super Stock. 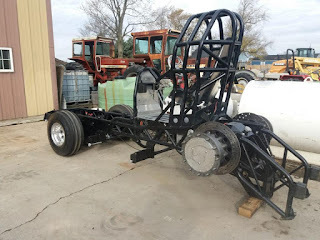 They were able to sell both Light Pro's and buy a used chassis to started to built a new Tractor in which Chris and Zach will share the driving duties. The Team purchased for their new project a used Full Pull Motorsports chassis and some adjustments were later made on it. The new Light Super Stock got a used Full Pull Motorsports chrome-moly tube frame with Full Pull Motorsports air bag front end, a Full Pull Motorsports built hydraulic steering, new GMS built weight brackets, a GMS chrome-moly rollcage with a Kirkey Racing seat and a Full Pull Motorsports sheet metal rear axle housing. The Tractor received a John Deere 4840 hood with aluminium sheet metal built side shields and aluminium sheet metal built fenders with original John Deere 4840 parts. The hood isn´t original anymore, they have recreated the 4840 hood out off carbon fiber. The new hood is much lighter than the original John Deere sheet metal hood. Only the side grids are original John Deere parts on the hood. Like on the old John Deere lawn mower tractors, the carbon fiber hood can be opened for engine checks forward. 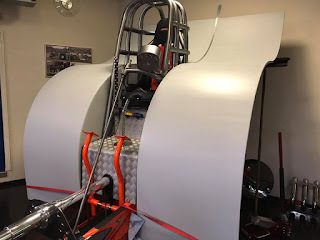 All the changes on the chassis and the completely sheet metal work were done by the employees of the Gene´s Machine Shop (GMS) in Hamilton, Ohio. After those changes the chassis was painted by the Team himself. In the sheet metal rear axle housing are a lots of good high performance pulling parts from Humpco. The rear axle received a Humpco billet aluminium center section, a billet Humpco aluminium differential with a special made ring and pinion gear, aluminium planetaries carrier housing with special made Humpco planetaries and billet Full Pull Motorsports aluminium brake calipers with Full Pull Motorsports brake rotors. The Linville Pulling Team purchased for their new Light Super Stock project a set of used polished Midwest aluminium rims with cut Firestone Puller 2000 HP tires. The tires are 1 year old and were resharpened at CM Pulling tires in Reynolds, Indiana. The John Deere will get no transmission, only a Humpco reverser with a GMS custom built driveline to the centrifugal clutch of the power plant. 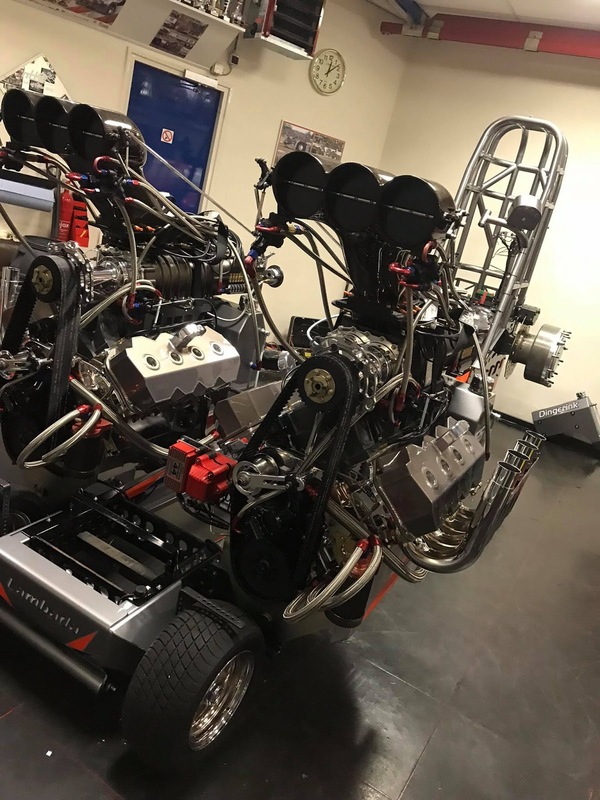 The Light Super Stock will have a completely new built 504cui alky fired 6 cylinder GMS push rod engine with a 3 charger setup. The power plant receive a bored up cast iron engine block with a billet Indy aluminium cylinder head, a GMS built intake and exhaust manifold, 3 billet turbocharger, a GMS front drive pump assembly, a MSD ignition and a Racepak data logger. The new push rod engine will completely assembled at the Gene´s Machine Shop in Hamilton, Ohio. The maiden run of the new JD Component Light Super Stock of the Linville Pulling Team is planned for the spring / summer 2019. Stefan Schöler from Seppenrade, in Germany has built a completely new Case IH Farm Stock Tractor for the 3.5t / 7700lbs. Sport Class in Germany during the last winter. Stefan started with pulling around 3 years ago, on rural youth Brush Pulls with a Standard IH 1246 Tractor in his area. But that wasn´t enough for him, he decided to purchase a second IH 1246 in 2016. In the end of 2016, he started with the building of his first real Farm Stock Tractor. The original IH 1246 was completely dismanteled and the engine, the rearend, the gearbox and the clutch bell housing leftover for the Farm Stock project. 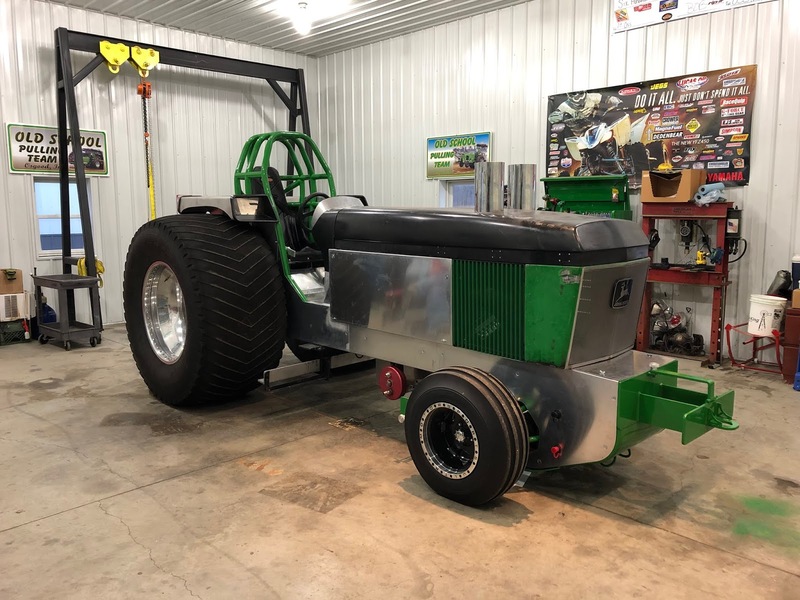 The new Pulling machine received a homemade steel wedge frame with a steel rollcage, a new homemade hydraulic power steering, a self built drawbar, homemade wheelie bars and a IH 1246 rearend. The hood on the Tractor comes from a Case IH Puma 210 and the steel sheet metal fenders are self made. Also all the sheet metal work on the hood and the chassis were made by Stefan himself. For a good grip on the German pulling tracks he bought a set of used cut Michelin 650/65R42 XM 108 tires on steel rims. The steel rims were built by Matthias Böhling of Schlunder - Metal and Pulling Parts from Groin in Germany. The rear axle was completely dismanteled, checked and received a needle bearing diff with a stock IH 1246 ring and pinion gear. The rest of the parts like the driveshafts, the axle funnels and the planetaries are still original. 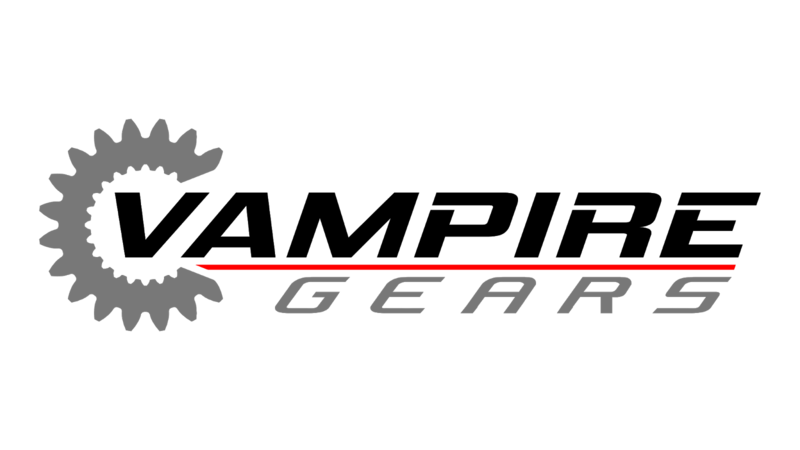 However on the gearbox is not very much original anymore. The 1246 housing of the 4 speed gearbox was machined and the stock shafts with the gears were replaced by new homemade components. Stefan Schöler also has made all the calculations for the new shafts and gears for the gearbox. Also the cast iron bell housing was machined and a new Freakshow Performance centrifugal clutch with 5 discs working in it now. Because of the safety rules, the cast iron bell housing is protected by a shatter blanket. The shatter blanket is a very important part on the tractor. It protects the driver and the spectators against flying clutch parts, when the clutch should explode. 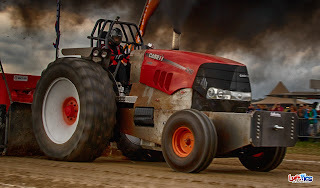 The Case IH Puma 210 is powered by 6 cylinder IH DT 358 power plant with 6l capacity on diesel fuel. The engine has a DT 358 stock block with original IH sleeves, a IH 358 stock crankshaft with IH standard steel rods and revised steel pistons, a revised DT 358 head with a grinded camshaft, a homemade intake and exhaust manifold, a Holset HX55 turbocharger, a self built air-water Intercooler, a Bosch P diesel fuel injection pump with 16mm elements and 4 channel data logger. Owner and driver Stefan Schöler actually wanted to compete again at the rural youth Brush Pulls, but that went a bit out of hand. This year he ran for the first time in the DTTO, but competed because of the overweight on the Tractor outside the evaluation in the 3.5t / 7700lbs Sport class and in evaluation of the 4.5t / 9260lbs Sport class. Stefan has planned to compete in the German Championship again next year. Barend Huijbregts, 44 years old from Hoeven, in the Netherlands. He is the owner and driver of the IH 1066 Component Pro Stock Tractor called ,,Rocky´´. Barend won in 2018 the Dutch Championship, the Euro Cup and finshed in runner up position at the European Championship. 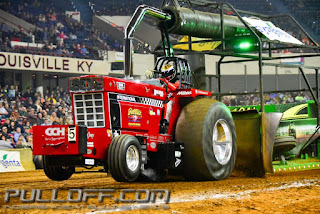 He also compete with his Tractor at the Indoor Pulls in Gordyville, Illinois and at the NFMS Pull in Louisville, Kentucky with success this year. 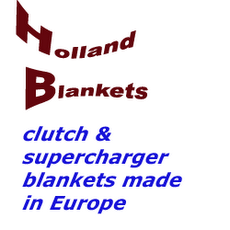 Barend Huijbregts: Owner of HMT powerparts a company specialized in high performance pulling parts. For example: turbochargers, upgrading cylinder heads. Barend Huijbregts: Holiday with the family, especially camping and going on the water with my boat and/or jetski. Barend Huijbregts: The challenge to make the combination between diesel horsepower, tyre grip and balance work perfectly and getting everything out of the Rocky Pro Stock Tractor. Barend Huijbregts: Somewhere in the early 80s. Barend Huijbregts: Our “home” pull Made’s Powerweekend (NL). Barend Huijbregts: All the first big competition wins in the Dutch Grand National, Euro Cup and the EC 2012 in Füchtorf (D). And of course the American winter tour last winter was a great experience. Barend Huijbregts: Pulling in general, but Diesel and Hood classes are my favorites. Barend Huijbregts: Building a brand new Rocky with some nice developments this winter. 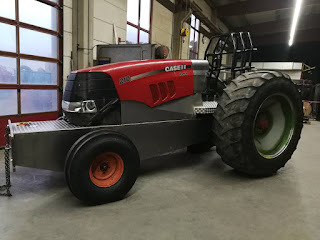 Pulling Tractor project in the workshop during a winter? 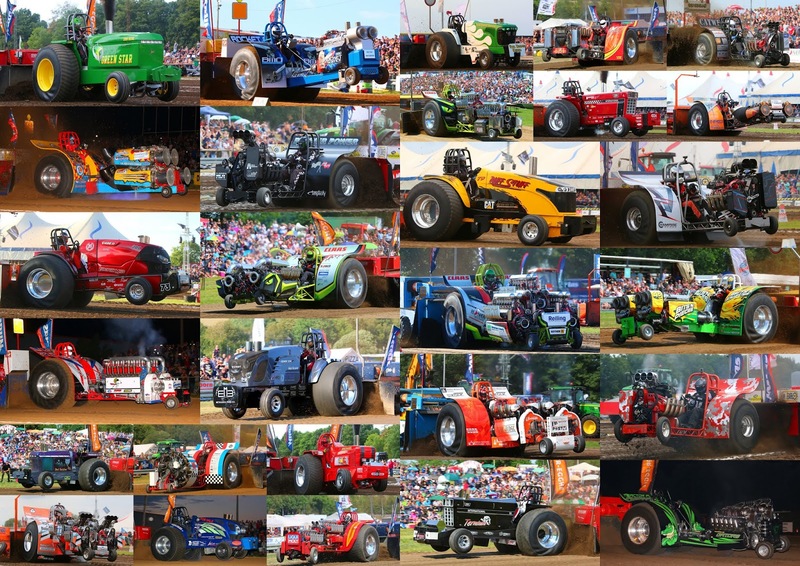 Barend Huijbregts: Thanks for your interest in our team and everything what are you doing for the sport of tractor pulling ! pullingworld.com: Thank you for your time and good luck for the furture ! The year is almost over and before I forget it, I would also like to give a big thanks to all the Pulling Teams, drivers and our sponsors for the great support during the 2018 season. Without the information, pictures and the help of the Teams from all around the World, it wouldn't be possible to make a website on this level ! 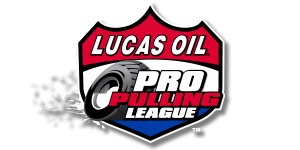 Also a big thank you to Will Whit of Will Whit Productions for his great reviews and stories of the pulling events in the USA this year ! I also hope the great cooperation with the Teams, drivers and our sponsors will continue in 2019 ! ,,Project X´´ that´s the name of a new John Deere Component Super Stock project from the Netherlands. 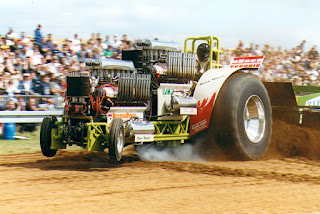 The tractor is a project between a not unknown Pro Stock Pulling Team and a Man who manufactured pulling parts for other Teams in Europe since many years. But who are the people behind this new Super Stock machine? The new tractor is a collaboration between the Runaway Deer´ Pulling Team around Jos, Wilco and Paul Broeks from Raalte, in the Netherlands and Charles Koebrugge from Markvelde, in the Netherlands. 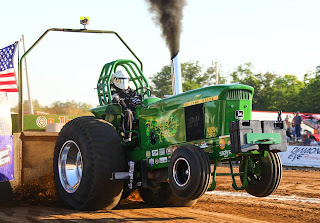 The Runaway Deer´ Pulling Team around the 3 Broeks brothers own a John Deere 7920 Component Pro Stock Tractor with a turbocharged 8.3l 6 cylinder engine on diesel fuel. They won with this tractor a lots of national pulls in the Netherlands and the European Championship title in 2014. Charles Koebrugge is the owner of the company called ,,KMB Koebrugge Metaal Bewerking B.V.´´ in Hengevelde, the Netherlands. His company ,,KMB´´ is a modern supply company, specializing in single piece manufacture to serial work. The main activity of his company is the production and processing of new and existing mechanical components, mostly machine parts, in the most diverse types of metal and plastic. 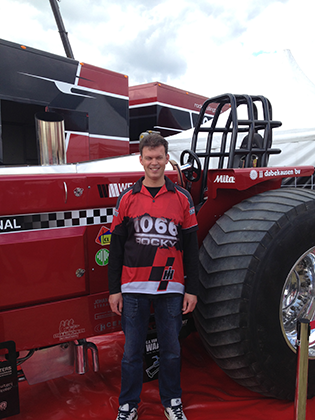 In the past he has built a lots of different pulling parts in his machine shop for other Pulling Teams in Europe. 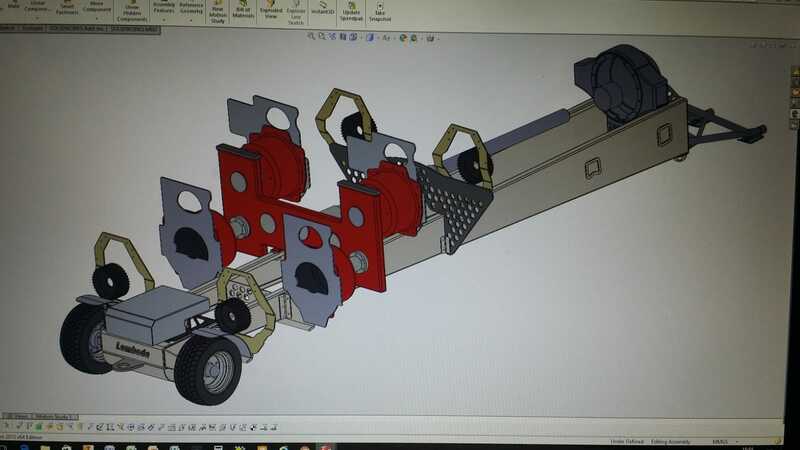 He´s building pulling parts for the Runaway Deer´ Pulling Team, Zeinstra Pulling Team and many other Teams. For the new project they have purchased a complete chassis including with the rear axle and the transmission from the USA. 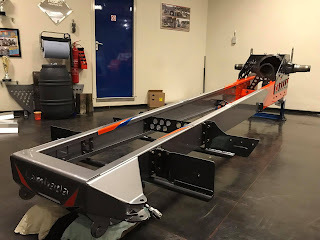 The team who drove with the chassis in the past isn´t unknown here in Europe, they were invited as the US guestpullers at the European Superpull in 2017. The used chassis comes from the Agco DT 225 Super Stock Open Tractor called ,,Galot 1´´ of the Galot Pulling Team from Benson, North Carolina. 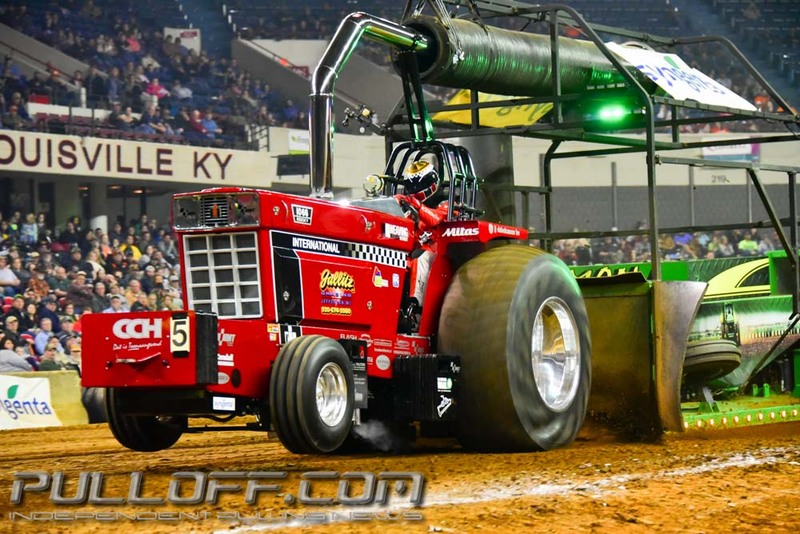 Driver and crew chief Brent Payne from Hamilton, Ohio finished in runner up place with the tractor in the 2018 NTPA Grand National Champinonship, 6 points behind his team mate John Strickland, from Clinton, North Carolina with Galot 2. The Chassis has a custom made tube frame with a custom built rollcage, a Kirkey Racing seat, a hydraulic power steering and a sheet metal rearend. The sheet metal rear axle has a billet Humpco aluminium center section with a billet Humpco differential, a special made ring and pinion gear, special made shafts and Franklin planetaries carrier housing with Humpco planetaries. 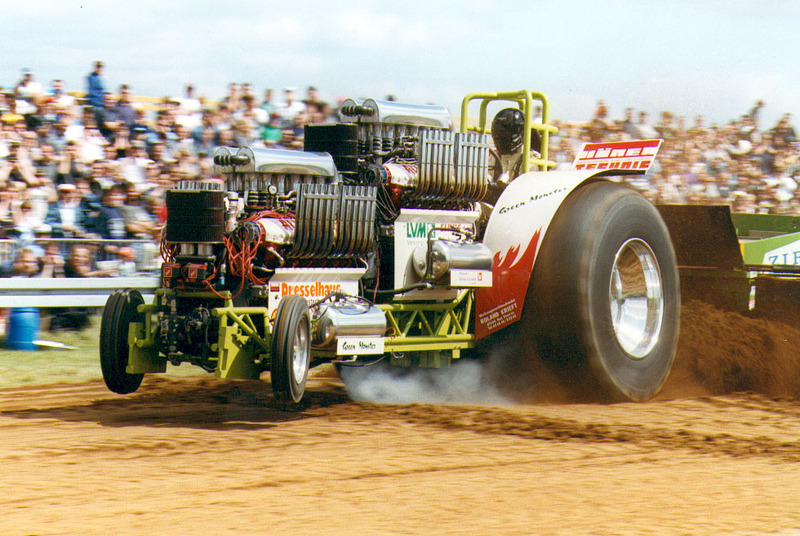 The chassis was built by Brent Payne and the people in his company called Gene´s Machine Shop in Hamilton, Ohio. The transport of the Galot Chassis from the US to the Netherlands was arranged by Braakman Service and Parts from Laren, in the Netherlands. The new Component tractor will get a new John Deere 7230R hood from the current John Deere 7R series. The new rear fenders for the vehicle come from K&K Specialties in the USA. 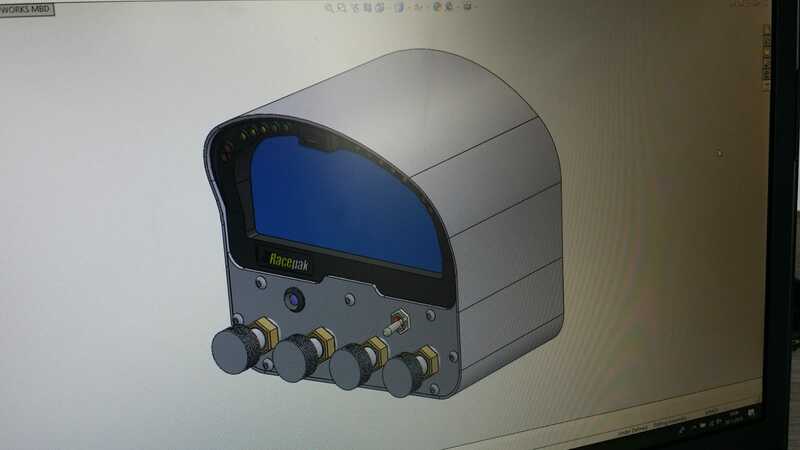 The Team will do the sheet metal work on the chassis and the hood in the Runaway Deer´ workshop in Raalte. The Super Stock also will have a Profab transmission with a billet driveline to the engine and a centrifugal clutch with a homemade fly wheel. 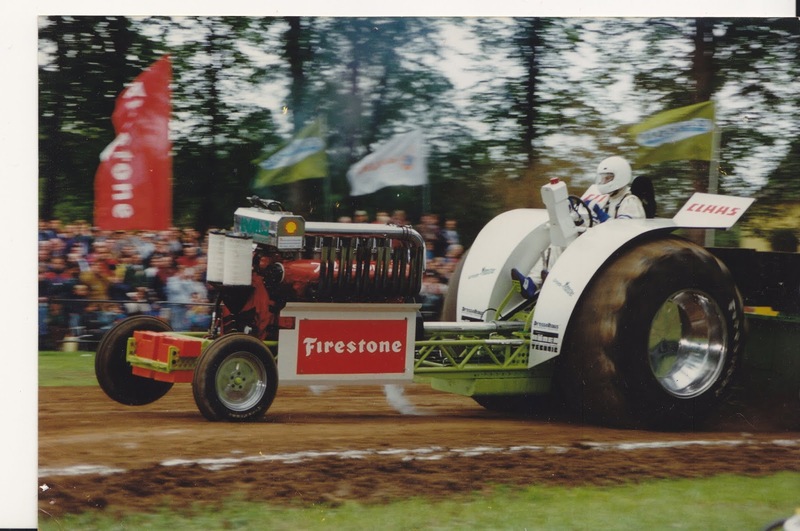 The Firestone Puller 2000 HP tires with the Midwest aluminium rims on the pictures of the Tractor come from the Rising Star Pulling Team. They have borrowed the wheels just for measurements. Which brand of tires and rims the Super Stock will later receive is currently not yet decided. The new Project X will have an methanol fired 6 cylinder John Deere 6076 engine with 10.5l displacement and a 4 turbocharger setup. The block of the engine comes from a 180hp John Deere tractor and has a original displacement of 7.6l. 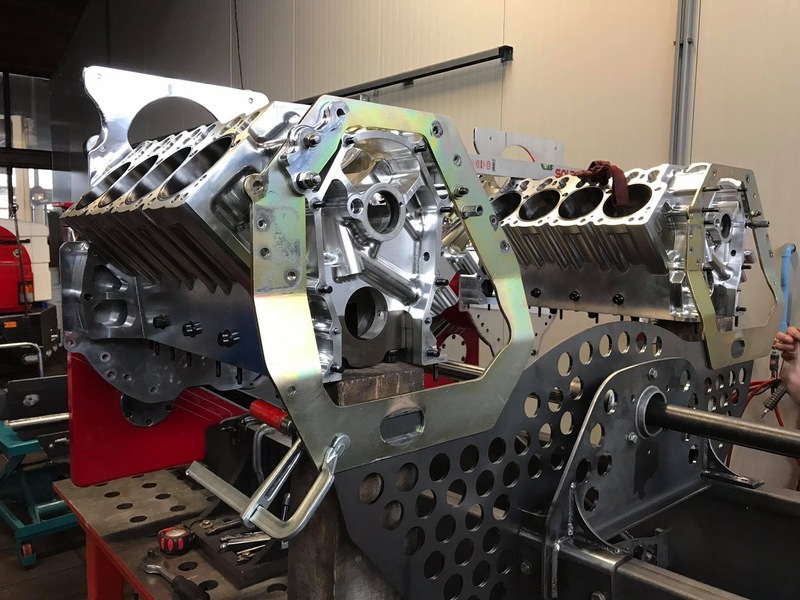 The block was machined on a CNC-milling machine in Charles Koebrugge´s machine shop and the cylinder bore was bored up to 1.75l. Almost all engine parts in and on the power plant are special made. The engine gets a machined John Deere 6466 cast iron block with homemade steel sleeves, a machined billet steel crankshaft, homemade aluminuim rods and pistons, a used VSP billet aluminium cylinder head from the Zeinstra Pulling Team, a billet camshaft, 4 turbocharger, a homemade CNC-milled engine plate, a methanol fuel injection system, a sheet metal fuel tank, a aluminium oil pan and a data logger system. Which turbocharger, intake and exhaust manifold, fuel pump, oil pump and data logger system the engine will get isn´t currently known. 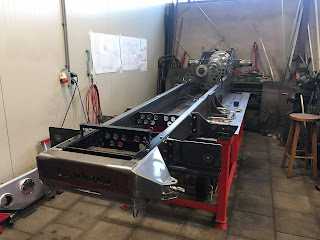 The engine should make around 3500 - 4000hp and will built up together with the support of the Zeinstra Pulling Team from Ouderkerk aan de Amstel. The Dutch team currently working hard to get the Tractor ready for the upcoming season. The drivers of the new Super Stock also were announced on their facebook page a few weeks ago. Charles Koebrugge and the 16 years old Remco Broeks will share the drivers duties on the machine. The Broeks brothers and Charles Koebrugge have registered the new tractor in the NTTO Grand National Championship for next year. 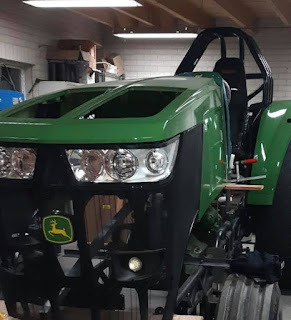 The maiden voyage of the new Project X John Deere Component Super Stock Tractor is planned for the 2019 season. 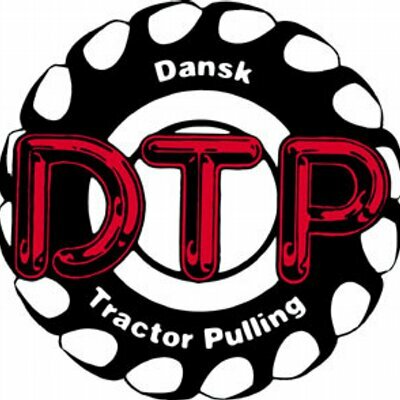 The Limited Modified Tractor called ,,Pumba´´ of Johan Jakobsen from Odder, in Denmark was completely sold to a new Team in Northern Germany. 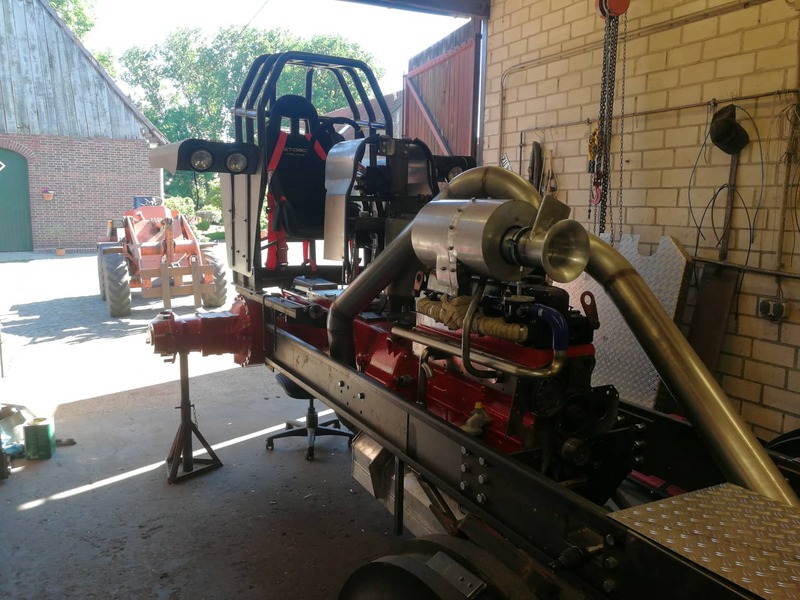 The Tractor with the turbocharged Scania V8 DS14 Semi Truck engine on diesel fuel was sold to Benny Rinne, Kevin Osmers and Janek Frerks from Grasberg in Germany. The new Team will compete in the German Championship next year. Dirk Wessel: I like to spend my free time with my girlfriend, family & friends and I enjoy sports like mountain biking running and skiing. Dirk Wessel: I like the technical side of the sport. You got some ideas and as long as you work within the rulebook you can do whatever you want. There is also a great community in the sport, first you have some serious competition on the track and after that you drink some beer and have a nice time with other teams / people. Dirk Wessel: I only know it was my home pull in Füchtorf (Germany) but I can`t remember the year. Must be 1984-1985. At that time my family lives next door to the Green Monster workshop. My favorite track? I think I have to say Alphen (NL), we won two European Championships on that track. But I also like other tracks as long as we find traction…. Dirk Wessel: It was in 1996 in Seifertshofen (Germany) it was the first Season we start with the Green Monster II in the Light Mod class. 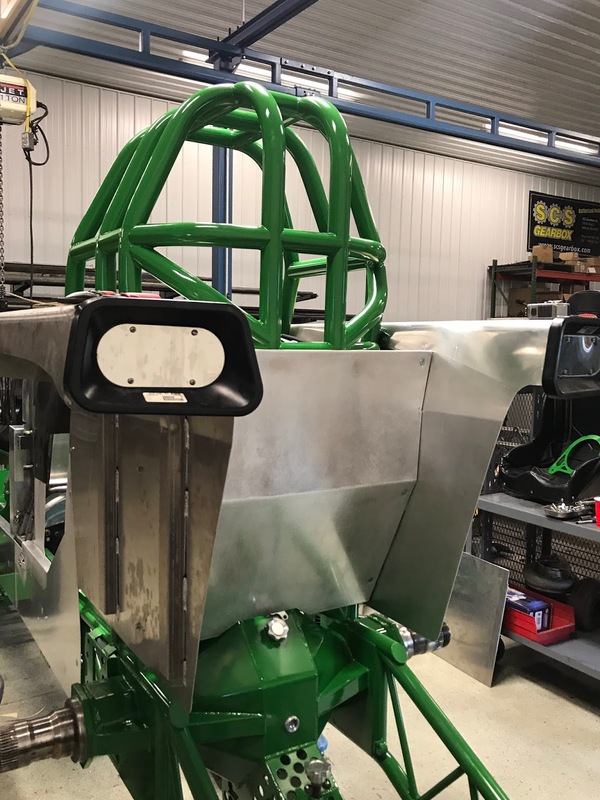 Dirk Wessel: Personally: Driving the Mitas Green Monster V this year on the European Championship and take the win in the Light Mod. Generally: Every victory with the Team on the old Allison engines. I think we work hard to get those tractors competitive and make some good and unique development on the engines / chassis and drivelines. Dirk Wessel: Of course all Modified classes. But also the Unlimited Minipullers and Super Stocks. Dirk Wessel: During the years I have a lot disappointments. Things didn`t always work the way you expect them… But I think that is normal in Pulling. Dirk Wessel: I think we need a clear schedule for the future. Specially in the Modified classes. Maybe we have to reduce them to only 2 Classes on top Level (Light and Heavy) and one national class for beginners with a lower budget…. In Europe the national associations should work closer together and they have to follow the same schedule. Right now every association is working on its own future Plans. Dirk Wessel: Continue with the work on the tractors to get them better and better. There are so many little things we can work on…. enough for the next decade ;-). And having a nice time with people I like! The maiden run on the Green Monster V Mitas Edition in Füchtorf (D). Not really successful at that day but we show everyone that we are able to get the twin Allison into the Light Mod class. 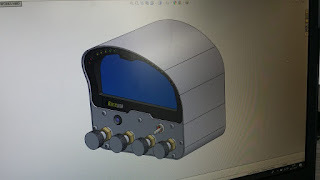 Dirk Wessel: Building up the Mitas Green Monster V. We started engineering and calculating one year before. The weight calculation was at the edge and we tried to build everything as light as possible…. We worked with titanium and other special materials for the first time and used 3D Rapid Prototyping and FEM calculations to get weight optimized parts. 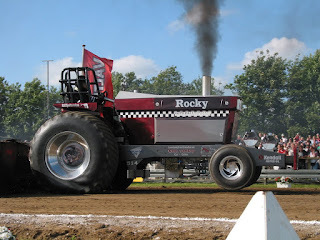 That`s exactly the reason why I like tractor Pulling. Have an idea and start working on it! Dirk Wessel: Thank`s to all the support we got. 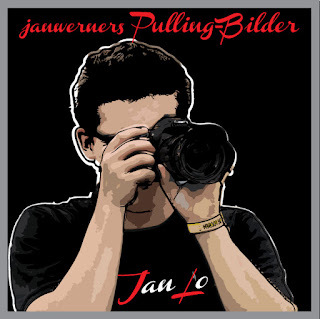 And keep up with the good public relations you make on pullingworld. 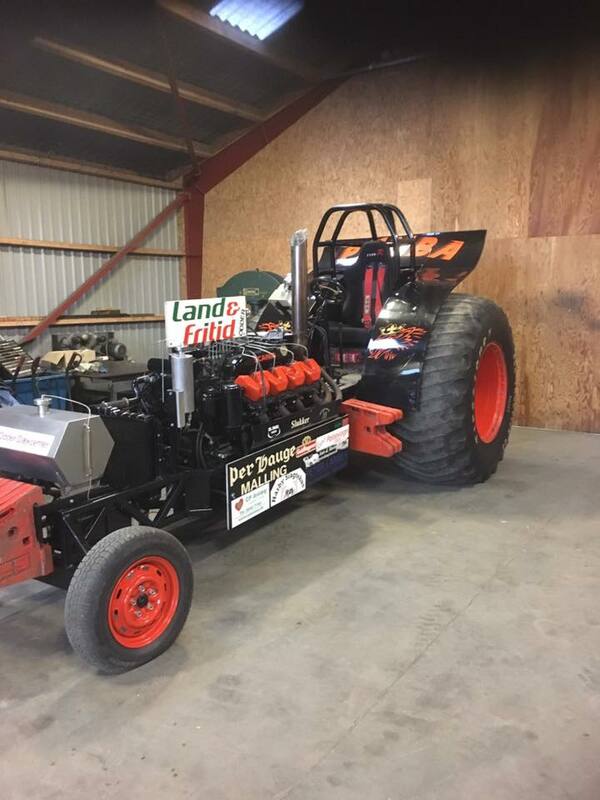 The Lambada Pulling Team from Zwolle, in the Netherlands have built their V8 Hemi powered Modified Tractor called ,,Intertechno Lambada´´ newly during the last winter. After 3 years with the same Chassis, they decided in the fall of 2017 to built a new improved Tractor for the 2018 season. But what´s new and improved on the next evolution of the Intertechno Lambada? From the first view around the Mod not very much, but behind the technic of the Tractor there were made a lots of improvements during the last winter. The Dutch Team built the same chassis, but they moved the crossbox a 70mm more to the back. This means the back engines are more to the rear end for a better balance. 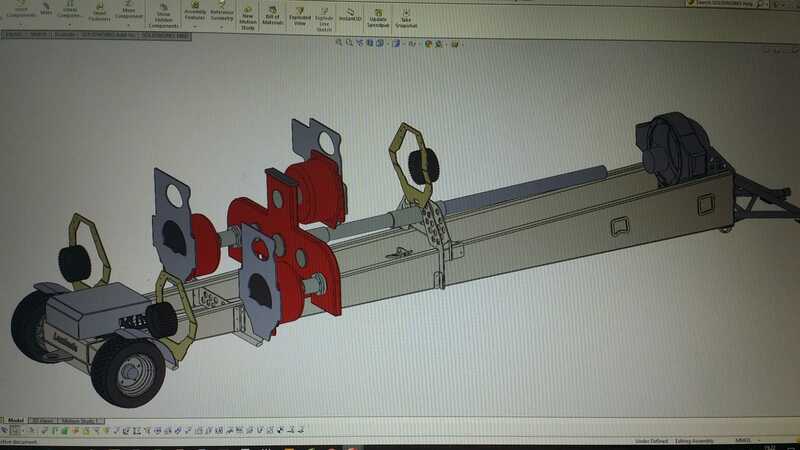 They also changed all the little brackets in the chassis for a better performance in the driveline. Also after 5 years with the silver / grey paintjob, they decided to go a new way. They switched to a orange / grey look. Orange is the colour from one of their bigger sponsors called ,,Toplenzen´´. 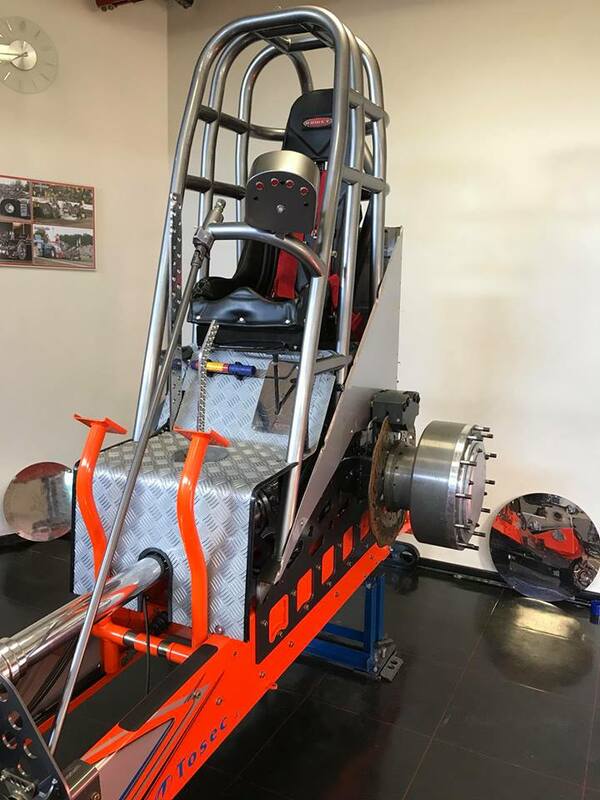 The new Intertechno Lambada received a new homemade Domex wedge frame with a homemade chrome-moly rollcage, a self built steering with components from a small road car, new homemade steel wheelie bars and a Ralph Banter built Rockwell rear axle housing from the USA. 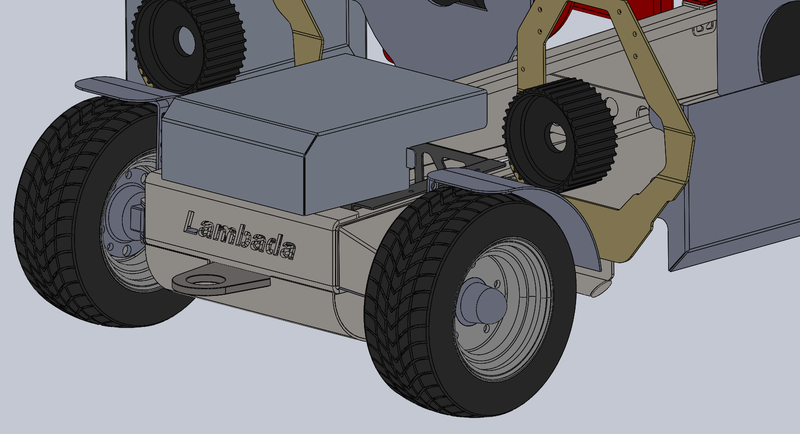 The USA approved rollcage and the completely Rockwell rear axle were took over of the old Intertechno Lambada. The new Domex frame rails and all the engine brackets were laser cut and bent by their sponsor Tosec BV. from Zwolle, in the Netherlands. Tosec BV. also has laser cut the brake discs of the new ride. The rear axle has a a billet aluminium differential with a Rockwell ring and pinion gear, a billet aluminium center section and leight weight magnesium planetaries carrier housing by Joe Eder (Eder Motorsports) with special made CAT planetaries. The billet center section and the diff were manufactured by Humpco / GMS Hi Performance Machining in Hamilton, Ohio, USA. Bennie Vreeman of Vampire Gears from Neede, in the Netherlands did the special made CAT planetaries for the rear axle. To keep the Tractor in bounds, the rear axle received a single wheel brake system with Engler Machine & Tool brake calipers, own constructed brake discs and brake pads from the company called ,,Vekoma´´ (also a small sponsor of the Team). The drivetrain has a Humpco reverser with a special built Vampire Gears driveline between the reverser and the crossbox and a Banter crossbox from the USA. They have two different crossboxes for the Mod. One crossbox ist built for 3 engines and the other one is built for 4 engines. Those two components are the oldest parts on the new machine. The crossboxes were built in the year of 2000 by Ralph and Dave Banter, but received some new bearings during the last winter check. The rear fenders were made out off carbon fiber by a company in Germany. After 5 years the Team replaced the old fenders by new ones. The new ones also got a completely new design and colour sheme. 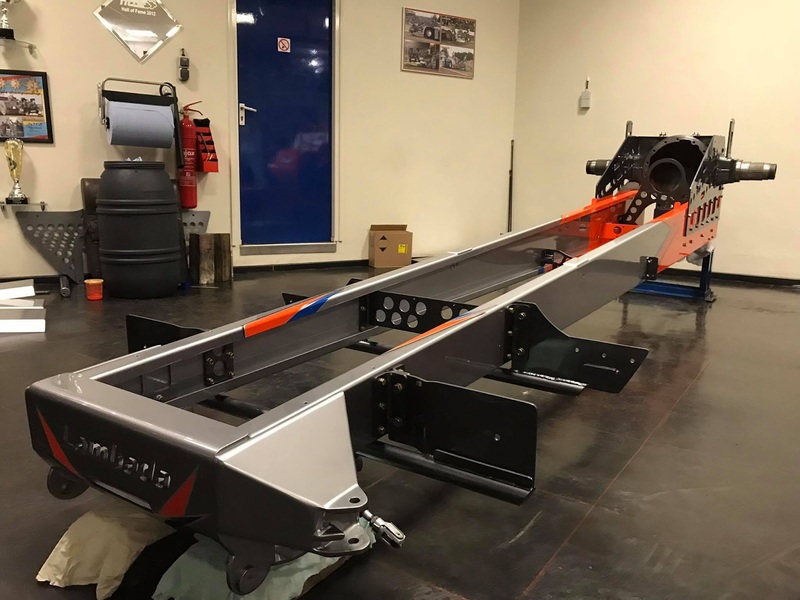 The new design was made with the help of Kees Vreeman (Vampire Pulling Team) and MW Design from Schijndel in the Netherlands made the paintjob on the new fenders. Ed van der Hoek from the Cloud Nine Pulling Team made the paintjob work on the new Chassis. For a good traction on the European Pulling tracks they purchased a set of new cut Firestone Puller 2000 HP tyres with polished Northern Sheen aluminium rims by CM Pulling tires in the USA. 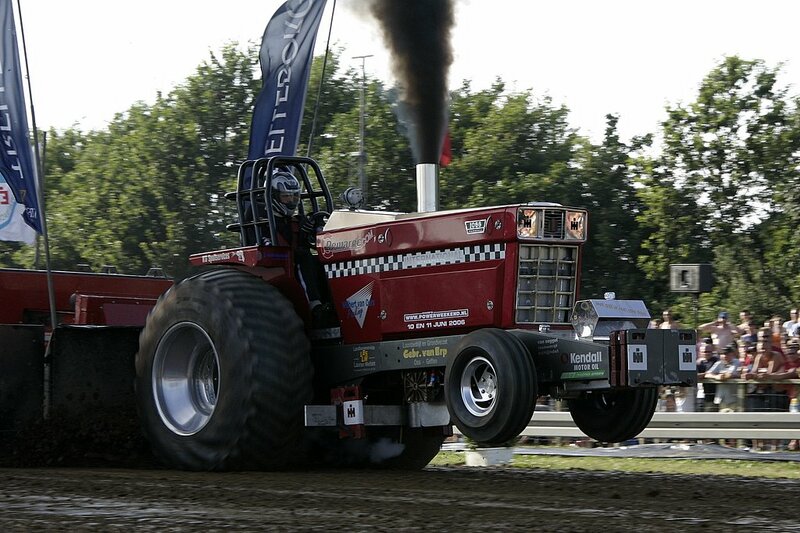 At the 3rd Euro Cup round in Made, the Netherlands they tested for the first time a set of new Mitas Powerpull tires on the Tractor. 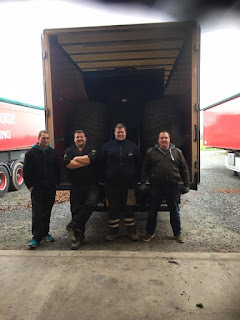 Both new set of tires were cut by Hans Heesakers in the Netherlands. 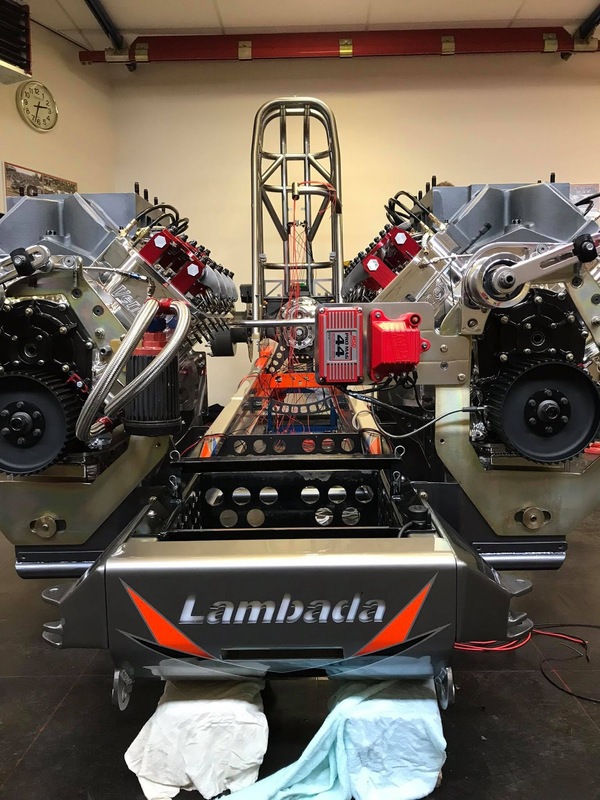 The new Intertechno Lambada is powered by blown BAE V8 Hemi engines on methanol fuel. 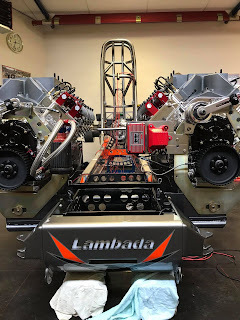 The Lambada Team driving with 3 of those BAE Hemis in the 3.5t / 7700lbs. Mod division and with 4 in the 4.2t / 9260lbs. Heavy Mod division. The power plants have a BAE billet aluminium engine block with Darton sleeves, a 4.5´´ Winberg billet steel crankshaft with MGP billet aluminium rods and Diamond billet aluminium pistons, Veney alcohol cylinder heads with Manley valves, Dan Olson Racing exhaust headers, a Com cams billet camshaft from the USA, a billet SSI 14-71 supercharger with a carbon fiber scoop, a Sassy Racing dual fuel system with a Sassy Racing fuel pump, a homemade aluminium sheet metal fuel and oil tank, a RCD oil pump and a Racepak IQ3 data logger. 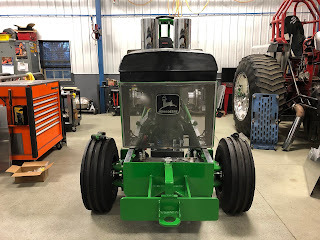 The two aluminum sheet metal tanks on the front end of the tractor are for the dry sump lubrication of the front engines. With the Racepak IQ3 data logger they can measure the rpms, the intake pressure and the oil pressure of all 4 engines. Since many years with the same engine combination, they switched over to a different cylinder bore in 2018. The engines have a bigger bore with 4.440´´ inch and they have changed the intake manifolds to get more air into the engines. The Dingerinks also changed the nozzles in the fuel system to get a higher pressure. After all the technical insight what are the hopes of the Lambada Team after those improvements? The Team hopes and they have seen that already this year, that they had a better balance especially in the Unlimited class with those changes. With all the new small plates and brackets, the driveline stays perfect in place and the new Mod can put all the horsepower to the ground. With the bigger bore in the engines, the crew hopes to have more horsepower than last year.Things that the team didn´t know, but what they know now are the big engine failures in 2018. The big damages also were sometimes bad luck. Füchtorf, Germany was the start of the Euro Cup season. They made nice passes in the Mod class, but in end of Heavy Modified class a rod broke in the front right engine. Back in the Lambada workshop, they found out, the problems were the bigger pistons with more compression and the wet sump oil lubrication system wasn´t good enough anymore for the front motors. 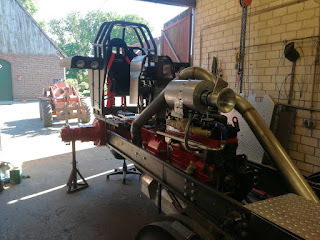 The Dutch guys worked 3 weeks to rebuilt both front engines on dry sump lubrication system. At the next event the other front engine blew up, after only 20m. Later they found in the workshop, there was missing a o ring in the suction part in one of the a new oil pumps. This was the result for another broken power plant. After those lubrication problems, the Tractor ran pretty good during the mid of the season. But in the end of the season in Great Ecclestone, England they junked again one of the expensive engines, but this time the crankshaft broke. They found out the crank was more than 100 runs old. 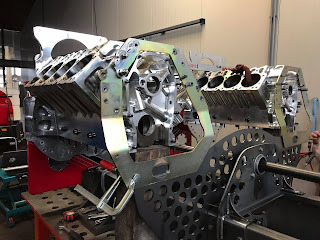 Before the EC the spare parts stock was pretty empty in the workshop, their biggest sponsor Bertus Boer (Intertechno) helped them for the EC with engine parts and from Egbert Dros (Simply Irresistible Pulling Team) they got an older BAE spare engine block. With those support Willem Dingerink won on his 72nd birthday the 2018 European Championship title in the 3.5t / 7700lbs Modified division. But a few hours later in the Heavy Modified class, another engine went broke and again a broken crankshaft. After the EC in Alphen, the Netherlands, the Team found the problem why the crankshafts after 100 runs broke. With the new bigger pistons and the higher compression, the crankshafts were claimed much higher than they believed, that´s why the cranks broke so early. Because of those troubles, all 4 BAE Hemis will get a completely new crankshaft for the 2019 season. The Lambada Pulling Team will compete in the Dutch Grand National Championship (Modifieds and Unlimited division) and in the Euro Cup (Heavy Modified) next year. 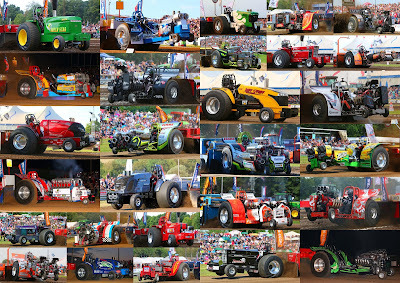 NFMS Pull 2019 competitors are known !